Eli Bass directs Hillel campus programming for the Rochester Institute of Technology and the State University of New York, Geneseo. He developed a passion for Judaism and the environment when teaching students about the environment at Teva the Learning Alliance, now part of Hazon. Eli has a master's degree in Jewish education from the Jewish Theological Seminary. Rabbi Ellen Bernstein founded Shomrei Adamah, the first national Jewish-environmental organization, and is the author of numerous books and articles on Judaism and ecology, including "The Splendor of Creation." Ellen writes, teaches and speaks widely on the topic of Bible and ecology and ecotheology. She is also a spiritual adviser and rabbi at Hampshire College. Karin Fleisch is a nonprofit consultant specializing in sustainable food systems. For the past 10 years, she has worked in the nonprofit sector including five years at the Food Bank For New York City, where she managed the team that monitors New York City's network of 1,000 soup kitchens and food pantries. Prior to her work at the Food Bank, Karin farmed at Eco-Israel, edited at Teacher's College, Columbia University, and somewhat inadvertently founded an English-language teaching program in the cloud forest of Mindo, Ecuador. More recently, Karin served as a Kol Tzedek Fellow with American Jewish World Service while earning a Master's in Public Administration at NYU Wagner, which she attended as a Dean's Scholar. She now consults for clients in New York and Israel in the areas of marketing, program design and evaluation, grant writing, board and team facilitation, and transition management. David Fox earned his degree in philosophy from Washington University in St. Louis in 2010 and has since devoted his career toward educating the next generation of children about our moral impetus to heal the world. As founder and CEO of Amir, David has overseen all aspects of the organization's board development, programmatic growth and fundraising efforts since inception. Now with a full-time staff of three, Amir is working with 25-summer camps across the country, helping them build educational gardens and farms. He is excited to be a part of the Green Israel slate and to bring a more environmentally just focus to Israel's future. Matthew Frankel will graduate in May from Ohio State University with a bachelor's of science in environmental engineering. He's interned at environmental consulting and engineering firms in the Cleveland area. He also spent a summer at the Arava Institute for Environmental Studies, where he conducted research in the Center for Transboundary Water Management. At Ohio State, Matthew serves as the president of Buckeyes for Israel, the pro-Israel student organization. Ilana Gauss is cofounder and director of EcoJews of the Bay, where her work focuses on empowering Jewish organizations to go green(er). This is her second time on the Green Zionist Alliance slate. A San Francisco native, Ilana has been to Israel eight times. Brett Goldman is an entrepreneur and consultant providing strategic, communications and business development for companies, organizations, political candidates, and other initiatives in both the United States and Israel. Most recently, Brett served as the executive director of the TAMID Israel Investment Group, an organization that pioneers the next generation of American commitment to Israel by connecting business minded students with opportunities in the Israeli economy. Brett also cofounded the American Israel Business Lab, a Philadelphia-based economic development initiative seeking to commercialize Israeli innovations in clean tech in the U.S. market. Brett received his bachelor's in history and master's in education from Fairleigh Dickinson University and his master's in government from IDC Herzliya. He also is an alum of the Wharton Small Business Development Center at the University of Pennsylvania. Truman Doctrine. Dr. Mirele Goldsmith is an environmental psychologist, educator and activist. Mirele created Tikkun Mayim, a ceremony of repair for our relationship with water, and is the founder of Jews Against Hydrofracking. She has shared Jewish teachings at the Faith in Water Workshop of the Alliance for Religion and Conservation at the Salisbury Cathedral, and the Washington Prayer Breakfast of the National Religious Coalition on Creation Care. She attended the U.N. Summit on Climate Change in Copenhagen on behalf of 22 Jewish organizations and was a leader in the Jewish mobilization for the People’s Climate March in New York City. Mirele was the director of the Jewish Greening Fellowship and has served on the boards of the American Friends of the Heschel Center, Hazon, COEJL and the Hadassah Foundation. Her writings on Judaism and the environment have been published in the Jerusalem Report, the Jewish Week and the Forward. Wendy Kenin is founder of Imeinu Birth Collective and is a social-media consultant. A Jewish eco-feminist, Wendy is a member of the editorial board of Jewcology, and serves on the leadership circle of Canfei Nesharim. She is a member of the Berkeley Peace and Justice Commission. and served as co-chair of the U.S. Green Party's national newspaper Green Pages. Wendy is also a childbirth doula and mother of five. 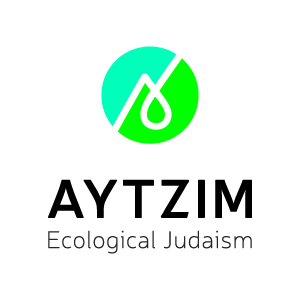 David Krantz is a cofounder, president and chairperson of Aytzim: Ecological Judaism, the parent organization of Jewcology, the Green Zionist Alliance: The Grassroots Campaign for a Sustainable Israel, and, together with GreenFaith, Shomrei Breishit: Rabbis and Cantors for the Earth. He serves on the steering committee of Interfaith Moral Action on Climate; on the founding team of the Interfaith Ocean Ethics Campaign; and on the cabinet of the American Zionist Movement. David previously served as a leadership fellow at the Coalition on the Environment and Jewish Life and as a global-justice fellow at American Jewish World Service. He is also the editor of the "Jewish Energy Guide." David earned three master's degrees, including one in journalism at the University of California, Berkeley, and two through a Steinberg Fellowship at New York University, where he studied Judaism and environmental policy. He has spoken about Israeli, Jewish and interfaith environmentalism on four continents. Frances Lasday is pursuing a bachelor's degree in environmental studies from the University of Vermont. She completed a fall 2014 internship with Aytzim, for which she wrote curriculum for different age groups connecting the Jewish holidays with the environment. Frances previously was an Amir Project garden fellow. Evonne Marzouk was the founder and director of Canfei Nesharim: Sustainable Living Inspired by Torah, and the initial project lead for Jewcology, a portal for Jewish environmental action. She is currently a communications specialist at the U.S. Environmental Protection Agency. She lives in Maryland with her family. Hody Nemes serves as manager of greening and climate initiatives at Hazon, helping Jewish institutions reduce their carbon footprint. He previously worked as a reporter for The Forward’s news and digital teams. A graduate of Yeshivat Maale Gilboa and Yale University, he was the advocacy co-chair of the Yale Student Environmental Coalition and a research associate for the Yale Project on Climate Change Communication, which studies public perceptions of climate change. He assisted in the planning of the Limmud NY 2014 conference, and served as a communications intern for Hatenuah Hayerukah in 2012. He originally hails from St. Louis. Morgan Prestage is a graduate of Eastern Illinois University, where she studied political science. She is a longtime Green Zionist Alliance intern and volunteer, and she is excited to serve on the Green Israel slate. Shira Rosen is in her final semester as an environmental-science major at the University of Maryland. She interned for the Green Zionist Alliance and has researched and analyzed Israel's stray-cat issue. Rabbi Fred Scherlinder Dobb is the rabbi of Adat Shalom Reconstructionist Congregation in Bethesda, Md., since his 1997 ordination from the Reconstructionist Rabbinical College. Fred is also the chairperson of the Coalition on the Environment and Jewish Life; immediate past chairperson of Maryland / Greater Washington Interfaith Power and Light; and past president of the Washington Board of Rabbis. Fred contributes regularly to Moment magazine and other publications; has served in numerous interfaith leadership capacities; helped Adat Shalom become a widely-acclaimed green spiritual center; and has been active within and beyond Adat Shalom on social and economic justice, LGBTQ and gender equality, and progressive Israel education and advocacy, as well as eco-Judaism. A Wexner Graduate Fellow, Fred completed a doctorate of ministry from Wesley Theological Seminary in 2009. Jacob Schonzeit was raised in New York City until he moved to Israel for his senior year of high school. He continued to live in Israel where he studied permaculture, organic agriculture, and community development at the Hava v'Adam Eco-Educational Farm. He has volunteered at kibbutzim in the Negev. Jacob works for Amir in recruitment and developing Jewish environmental education programs as well and he currently studies environmentalism and philosophy at the University of Vermont. David Sher is a serial entrepreneur founding a number of ventures in the financial services and brokerage industry. He is currently the CEO of Greenbacker Capital Management, an investment firm that focuses on renewable energy, energy efficiency and sustainability projects. Prior to joining Greenbacker, David was a senior adviser at Prospect Capital Corporation, a mezzanine debt and private equity firm that manages a publicly traded, closed-end, dividend-focused investment company. In 2002, he was a founder and managing director of ESP Technologies, a leading provider of financial software and services to institutional asset managers and hedge funds. In 1999, he was a founder and CEO of an online brokerage company, ElephantX Dot Com Inc. And in 1997, he co-founded, developed and managed Lafayette Capital Management LLC, a statistical arbitrage hedge fund. David also spent six years at Bear Stearns where he developed trading ideas and strategies for correspondent clearing customers from 1991 to 1997. He holds a master's of international affairs from Columbia University and a bachelor's in political science from Rutgers University. Garth Silberstein is a rabbinical student at Yeshivat Chovevei Torah and the founder of Organic Yeshiva, an experiential learning program for adults that combines traditional Torah study with hands-on experience working on an organic farm. Garth has worked for Hazon, and currently serves as a rabbinic intern at Congregation Kadimah-Toras Moshe in Brighton, Mass. He also serves on the editorial board of Jewcology, and as a member of Canfei Nesharim's leadership circle. Rabbi Marc Soloway serves as the rabbi of Congregation Bonai Shalom in Boulder, Colo., where he has driven a green mission that strives to create a sustainable and nourishing community. Marc is on the national board of Hazon, where he is the chair of the rabbinic advisory board. He is a T'ruah "Tomato Rabbi," a former fellow of CLAL's Rabbis Without Borders and a member of the Rabbinical Assembly and Ohalah (Jewish Renewal Rabbinic Association). He has thrice ridden in the Hazon-Arava Institute Israel Ride. And Marc is also a member of Boulder's Jewish goat and chicken co-ops. Rabbi Lawrence Troster is the coordinator of Shomrei Breishit: Rabbis and Cantors for the Earth, and is one of this country’s leading Jewish eco-theologians and religious environmental leaders. He is the rabbinic scholar-in-residence of GreenFaith, the N.J.-based interfaith environmental coalition, and the former creator and director of the GreenFaith’s Fellowship program. He is also a member of Al Gore’s Climate Reality Project Leadership Corps and rabbi-in-residence at the Iona Spirituality at Iona College. Previously, Lawrence was the rabbinic adviser for Hazon and rabbinic fellow for the Coalition on the Environment and Jewish Life. He has published numerous articles and has lectured widely on eco-theology, bio-ethics, and Judaism and modern science. He is the author of "Mekor Hayyim: A Source Book on Water and Judaism," and he is also the author of the chapter on Jewish environment ethics in "The Observant Life: The Wisdom of Conservative Judaism for Contemporary Jews." David Weisberg has dedicated the past 18 years of his life to advancing Judaism, the Jewish people, and building a healthier and more sustainable world. Currently the chief executive officer of Hazon, David previously served as the executive director of Friends of the Arava Institute and the CEO of the Jewish Federation and Jewish Community Center of Greater Harrisburg. Eric Weltman is a writer, organizer and educator. He has more than 20 years of experience leading social-justice campaigns, building progressive power, and winning policy and political victories. He is a co-founder of Jews Against Hydrofracking, an active member of Jews for Racial & Economic Justice, and a member of Workmen's Circle. He has taught urban politics at Suffolk University and written for The American Prospect, In These Times, Dollars & Sense, The Boston Globe, The Amsterdam News, and Truthout.org. A New Jersey native, Eric graduated from the University of Michigan and earned a master's degree in urban and environmental policy from Tufts University. Dr. Laurie Zoloth is a Charles Deering McCormick Professor of Religious Studies, Medical Humanities and Bioethics at Northwestern University's Weinberg College of Arts and Sciences and Feinberg School of Medicine. She is also president of the American Academy of Religion and past president of the American Society of Bioethics and Humanities. From 1995 to 2003, she was a professor of ethics and director of the program in Jewish Studies at San Francisco State University and at Northwestern University she was founding director of both the Center for Bioethics, Science and Society, and of the Brady Program in Ethics and Civic Life. She served for two terms as member of the NASA National Advisory Council, the nation's highest civilian advisory board for NASA, for which she received the NASA National Public Service Award. She was the founding chair of the Howard Hughes Medical Institute's Bioethics Advisory Board as well as a founding member of the boards of the International Society for Stem Cell Research, the Society for Jewish Ethics, the Society for Scriptural Reasoning, and NASA’s International Planetary Protection Advisory Committee, the NASA National Animal Care and Use Committee, the American Society for Reproductive Medicines National Ethics Board, The SYNBERC Synthetic Biology Strategic Planning Committee, and the National Institutes of Health Recombinate DNA Advisory Committee. She was honored as the Graduate Theological Union’s alumna of the year, and she received the American Society for Bioethics and Humanities Distinguished Service Award and Northwestern University's most distinguished award for teaching. Additionally, Laurie was elected as a fellow of the Hastings Center and in 2014, as a life fellow at Clare Hall, Cambridge University. She is an affiliate faculty at Haifa University, Israel and she has published extensively in the areas of ethics, family, feminist theory, religion and science, Jewish studies, and social policy, authoring 32 book chapters and publishing more than 150 articles. Laurie is also co-editor of five books. She has been invited to give testimony on Jewish ethics and scientific research to international, federal and state committees. Click here to see the GZA 2006 delegate slate for the 35th World Zionist Congress. "Your compassion should encompass all creatures, not destroying or despising them, for God encompasses all created things."